G.I. 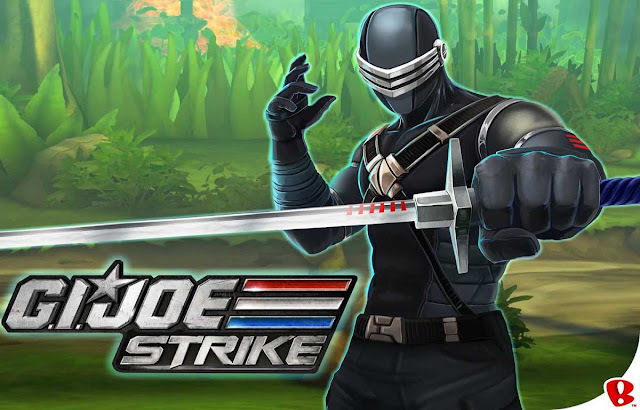 Joe: Strike - Experience the visceral thrill of combat in this fast-paced, cinematic action game. Your nemesis Storm Shadow has rounded up an army of deadly Arashikage ninja and must be stopped! - Easy to use, responsive touch controls are quick to learn, but challenging to master. - Dynamic, engaging combat featuring a mix of martial arts, swords, and modern weaponry. - Collect and upgrade 100+ ability cards to strengthen Snake Eyes. - Venture through several iconic G.I. Joe locations to wipe out the ninja threat. - Find your rhythm in combat to become the ultimate ninja commando! G.I. Joe: Strike: Install APK and Play the Game!